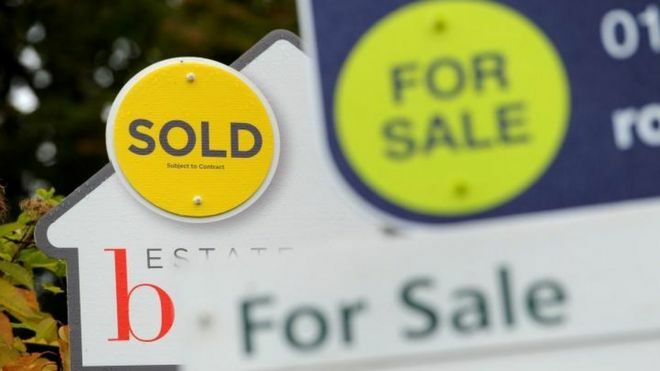 Annual growth in UK house prices slowed to its lowest rate for six years with property values barely changed from a year ago, a major lender has said. The Halifax, part of Lloyds Banking Group – the UK’s biggest mortgage lender, said prices rose by 0.3% in November compared with a year earlier. House prices fell by 1.4% compared with October, with the average home now valued at £224,578. Analysts say economic uncertainty has held the UK housing market in check. 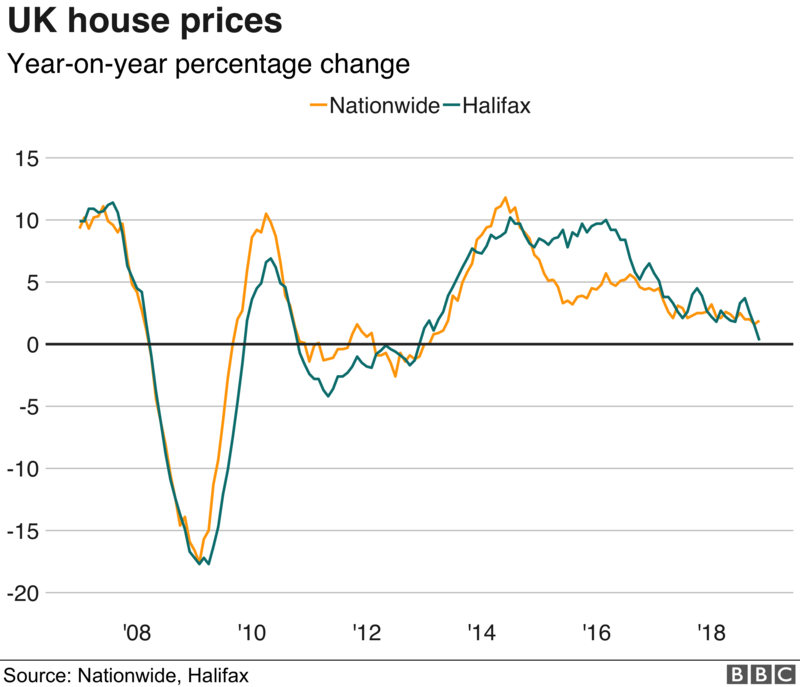 Halifax’s data shows the month-on-month change has now shown a fall in three out of the past four months. The less volatile quarter-on-quarter measure also showed the average value dropping, by 1.1%. This might generally be regarded as good news for first-time buyers who do not want to see prices move further out of reach. However, Russell Galley, managing director at the Halifax, said that there were still affordability issues for this group. “High employment, wage growth and historically low mortgage rates continue to make home ownership more affordable for many, though the need to raise a significant deposit still acts as something of a restraint on the market,” he said. Relatively few properties were being put on the market, he added. The figures come shortly after rival lender, the Nationwide, reported that the market was “subdued”. Both lenders base their figures on their own mortgage data, although the way they record year-on-year changes is slightly different. The Nationwide compares the two corresponding months, while the Halifax compares a three-month rolling average.